To develop, foster and support a Student Veteran Community at Clarion University which will provide the resources for Student Veterans and their Dependents to succeed on campus, in the classroom, and in life. 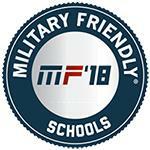 We have identified several scholarships for military affiliated students (veterans, dependents, active service members, etc). Please look at this file to identify external scholarship opportunities that you may be eligible for. We are continuing to update and improve this spreadsheet, so continue to review for additional opportunities. If you have any questions, please contact the Veteran Service Office. Beginning during the Fall 2017 Term, all Active Duty Service Members and their Dependents will receive a Tuition Rate of $250 per credit hour (maximum of $3,000 per term for a full-time student). Active Duty Service members and their Dependents will also receive PA Resident Fee Rates per the published Tuition and Fee Schedule. All Active Duty Service Members and Dependents should contact the Veteran Service Office via email (veteranservice@clarion.edu) or telephone (814-393-1630/2022) to verify status. In order to verify status, a Statement of Service from your present Command is required. All programs are approved for the G.I. Bill™, and we offer competitive tuition rates for active-duty personnel. The Application Fee is waived for all Active-Duty military and veterans. 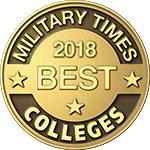 During the past few years, Clarion University Military and Veteran Services has been honored with many prestigious badges, some of which appear here. 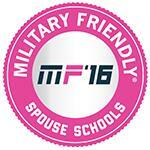 Plus, we have been voted a top Military Friendly School for nine consecutive years. Clarion University is a Servicemembers Opportunity College. Clarion University's Department of Information and Library Science is partnering with the Library of Congress to conduct interviews for the Veterans History Project. For additional information, contact Jim Maccaferri. 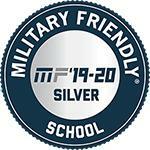 Veteran students receive priority scheduling preference. Course scheduling preference will begin the first hour of registration along with other students who have priority registration. 3. Resides in Pennsylvania while enrolled in the public institution of higher education. Students who are veteran students and do not already have their military status coded in the system will need to provide a DD214 to the Registrar's Office to have their military status updated. Currently serving members will need to submit a copy of active duty orders. Act 46 of 2014 requires public institutions of higher education in Pennsylvania to provide veteran students, as defined in the Act, with preference in course scheduling. Non-compliance may be reported to the Pennsylvania Department of Education by submitting the Higher Education Student Complaint Form form found at the Pennsylvania Department of Education. Questions regarding this scheduling preference, please contact the Registrar's office at 814 393 2229. In-state (resident) tuition rate provision – During spring 2011, Clarion University of Pennsylvania enacted in-state (resident) tuition rates for active duty military, spouses and their dependents receiving courses or other services through the Internet or other electronic means. If you need further information or have questions, please contact Dana Bearer, Associate Director of Transfer, Adult, and Graduate Admissions at 814 393 2306 or 800 672 7171.